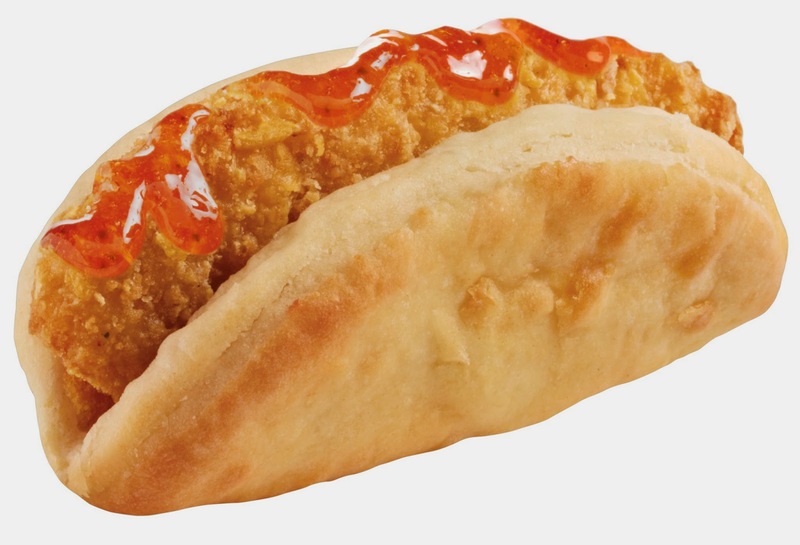 Taco Bell’s new Biscuit Taco is a warm, flakey, golden brown biscuit that happens to be shaped in the form of a taco, served with your choice of classic breakfast favorites (Sausage, Egg and Cheese; or Bacon, Egg and Cheese) or traditional flavors of the South (Crispy Chicken with Country Gravy; or Crispy Chicken with Honey). The Biscuit Taco pays homage to the traditional Southern biscuit – made with real butter and real buttermilk. And for that Taco Bell twist consumers have come to expect, the NEW signature jalapeno honey sauce (served with the Crispy Chicken and Honey Biscuit Taco) delivers just the right amount of heat. Originally tested in the heart of the biscuit-loving communities of San Antonio, TX and Atlanta, GA, the biscuit taco quickly met the Southern folks’ craveability and the nostalgic homage the taste could provide. The biscuit taco is currently testing in select restaurants within the Orange County / Los Angeles area. 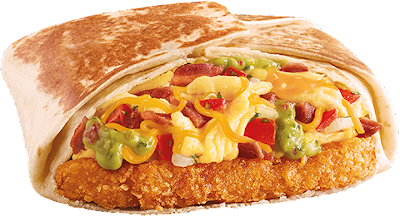 The unsung hero of the current national Taco Bell breakfast menu, the original A.M. Crunchwrap flavors of Steak, Bacon, and Sausage, will now be joined by the A.M. California Crunchwrap and A.M. Country Crunchwrap. Both bring flavor depth and variety to the already-popular platform, taking sit-down breakfast favorites like the California omelet and Country Skillet with Gravy and Sausage and making them portable. o The A.M. California Crunchwrap is filled with bacon, hashbrown, eggs, guacamole, cheddar cheese and pico de gallo. o The A.M. Country Crunchwrap is filled with sausage, hashbrown, eggs, classic gravy and cheddar cheese.